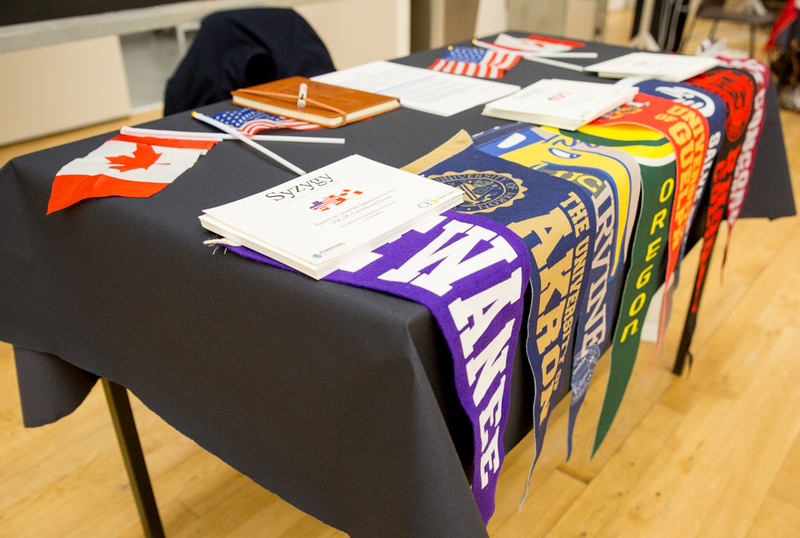 St Benedict's held an information evening on Monday 8th October to give an overview of studying at universities beyond the UK - in the USA, Canada and Europe. 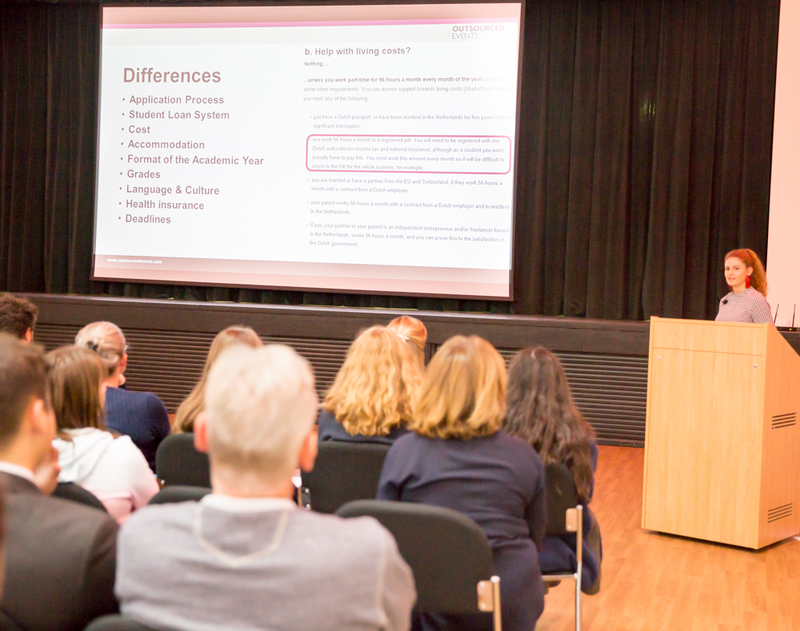 The evening, which was attended by many students and their parents from St Benedict’s, Sacred Heart High School Hammersmith, Cardinal Wiseman and St Augustine’s, offered a valuable opportunity to find out about the advantages and the application process. 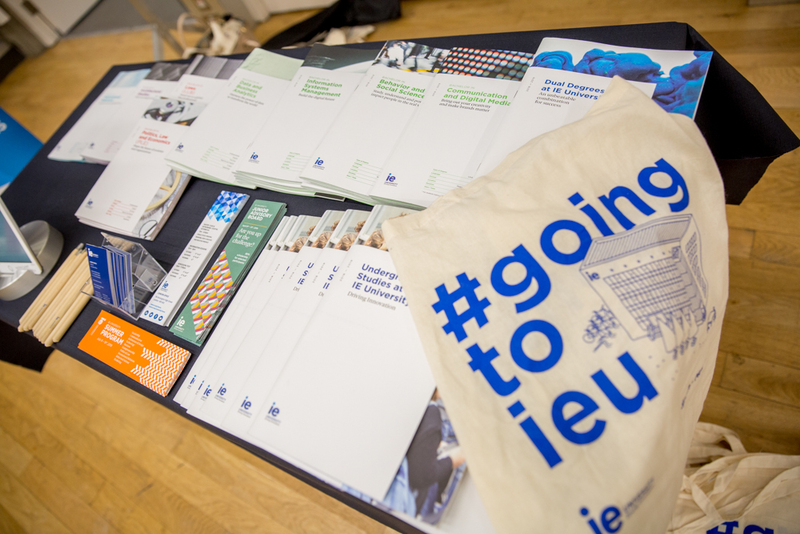 Students also gained an insight into the courses on offer, and how studying abroad differs from studying in a UK university. 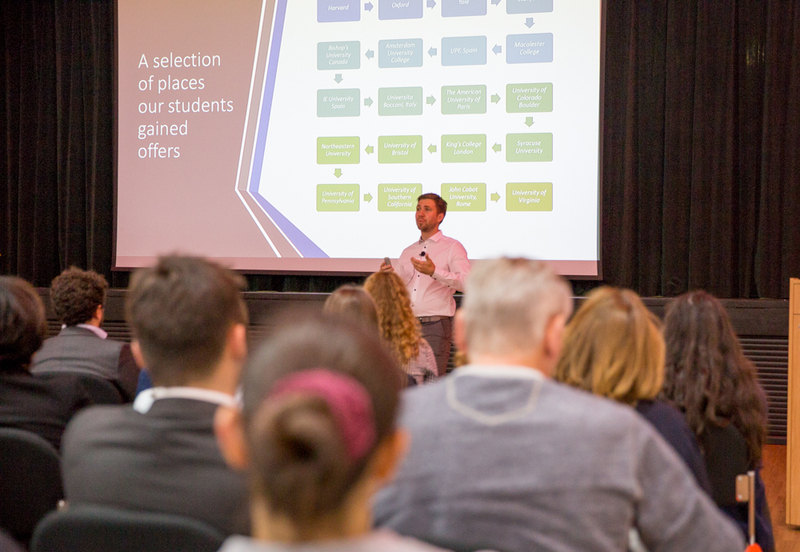 Presentations were given by a range of external experts, as well as former St Benedict’s students who have been offered places at universities beyond the UK. After an introduction and welcome from the Headmaster and Mrs Norris from the Careers Department, a series of informative and engaging presentations were given. 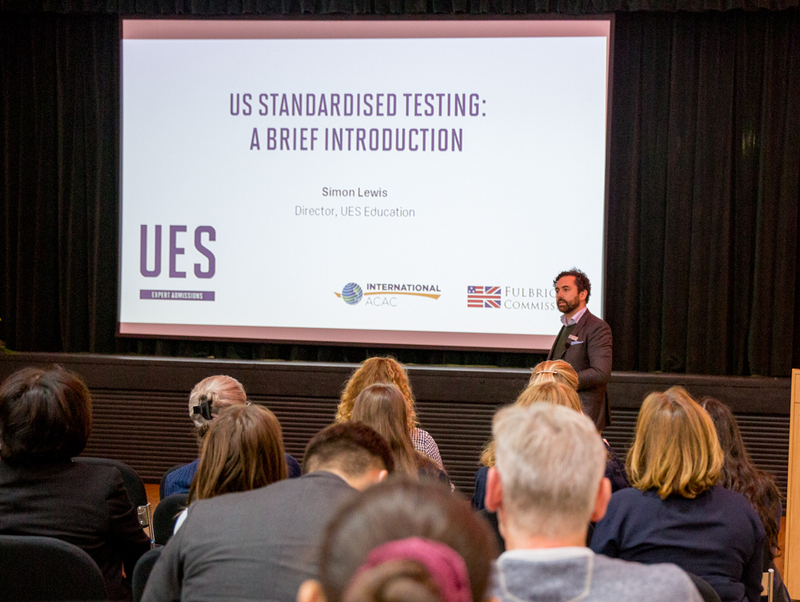 David Hawkins from Syzygy Global Education gave an overview of international applications, outlining when and why applying outside the UK makes sense, and how students can find the best institution for them. This was followed by an introduction to the Dutch University of Leiden from St Benedict's alumna Eden Comins, who will take up her place to read Political Science in Leiden next year. 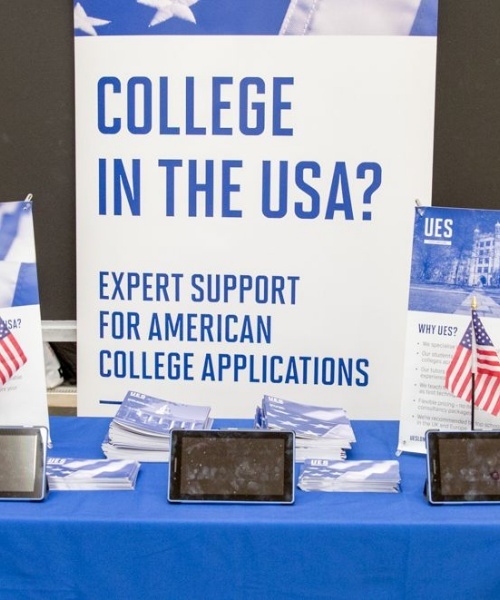 Simon Lewis from UES gave a presentation on US college applications, covering all aspects of the American university application process, from SAT and ACT, to college essays. 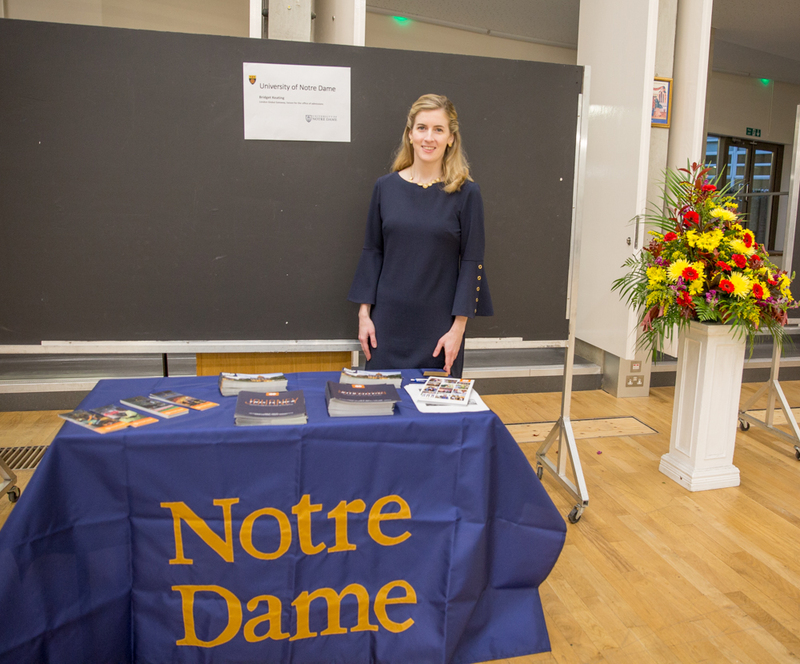 We were also delighted to have two representatives from North American universities: Bridget Keating, from the University of Notre Dame, USA, and Shiva Vaghei, from the University of Guelph, near Toronto, Ontario. After the presentations, students and parents had the opportunity to meet and engage with the speakers to find out more, and to meet representatives from Spain’s IE University; HZ University of Applied Sciences in Vlissingen, in the Netherlands; Ethos Recruiting, which specialises in sports scholarships in US universities, and Burnett Global Education, which focuses on international hospitality education and courses. 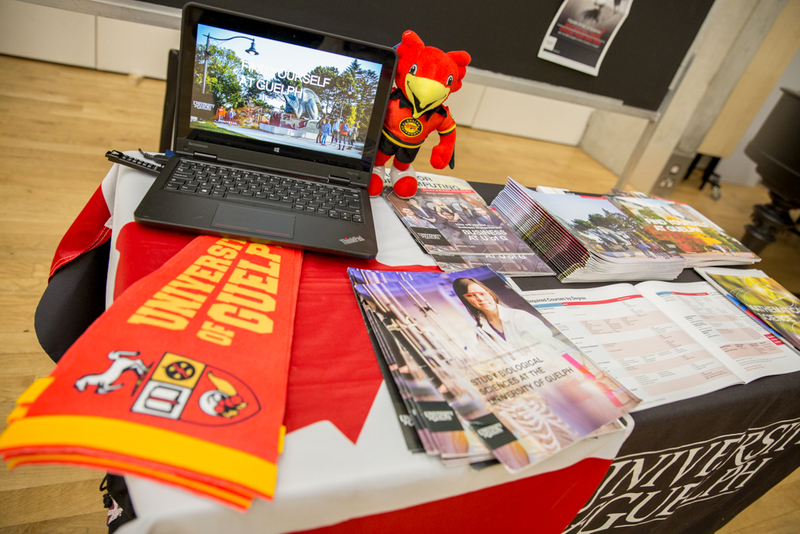 This year, 4% of St Benedict’s students took up places in overseas universities, at Guelph (to read Business), Leiden (to read Political Science), Amsterdam (to read Psychology), and the US universities of Waterloo and Drexel (to study Business and Economics respectively). The whole evening was a fantastic opportunity for students to explore what the rest of the world has to offer, and to consider the many other options open to them.